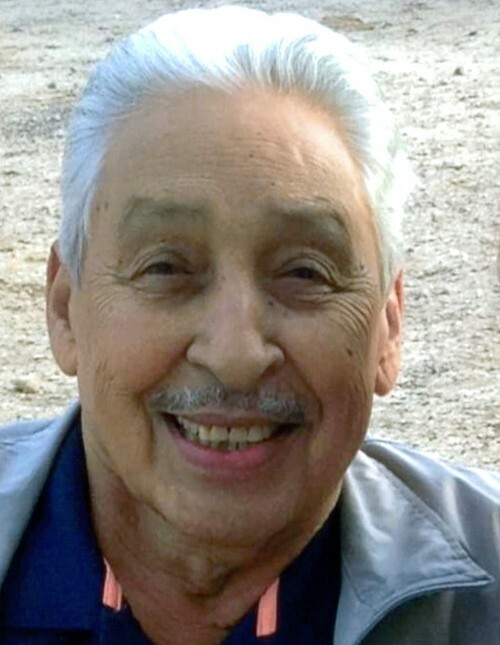 Liandro “Lee” Griego, 86, of W. Pierce Street, Carlsbad, New Mexico, passed away Tuesday, August 21, 2018 at his home. Visitation will be 2:00 PM – 5:00 PM, Tuesday, August 28, 2018 at Denton-Wood Funeral Home. A vigil is scheduled for 7:00 PM, Tuesday, August 28, 2018 at San Jose Catholic Church. Mass of Christian Burial is scheduled for 10:00 AM, Wednesday, August 29, 2018 at San Jose Catholic Church with Fr. Martin Cordero officiating. Interment will follow in Carlsbad Cemetery, Carlsbad, New Mexico. Carlsbad Veterans Honor Guard will provide military honors. Lee was born February 27, 1932 in Pasamonte, New Mexico to Paul and Fedlina (Pacheco) Griego. He married Mary Valdez June 9, 1951 in Dalhart, Texas. Lee served in the U.S. Air Force for 20 years. He worked for the Riverside Sheriff’s Department in California where he retired after 21 years. Lee and Mary moved to Carlsbad in 2000. During retirement they loved traveling the world. Lee loved singing, dancing and being with his family and friends, but especially spending time and spoiling his beautiful wife. He was preceded in death by his parents; son, Gilbert Griego; three brothers and two sisters. Survivors are his wife, Mary Griego of Carlsbad, NM; sons: Tony E. Griego of Carlsbad, NM, Paul Rhiney and wife, Robin of Sacramento, California, Frederick Griego and wife, Joyce of Carlsbad, NM; daughters: Emma Jane Rentschler and husband, Randall of Artesia, NM, Stella Wynia of Las Vegas, Nevada, Mary Worch and husband, Celsus of Pleasant Hill, California, Patricia Bartock and husband, Theodore of Carlsbad, NM and Rachel Fenimore and husband, Jon of Las Vegas, Nevada; 20 grandchildren; 32 great-grandchildren; 1 great-great-grandson; brother, John Griego and wife, Dora; sisters: Mary Gaona and husband, Albert and Angie Mares and numerous nieces and nephews. Pallbearers are Joshua Griego, Paul Rhiney, Fred Griego, Anthony Griego, Randy Rentschler and Ted Bartock.